Sweet potatoes are an excellent vegetable to always have on hand. 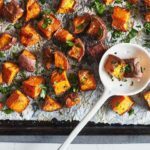 Not only do sweet potatoes keep well, but they’re also an easy-to-prepare side dish that tastes great with almost any meal. It’s hard to wrong with a sweet potato recipe and these super simple Sweet Potato Bites are no exception. 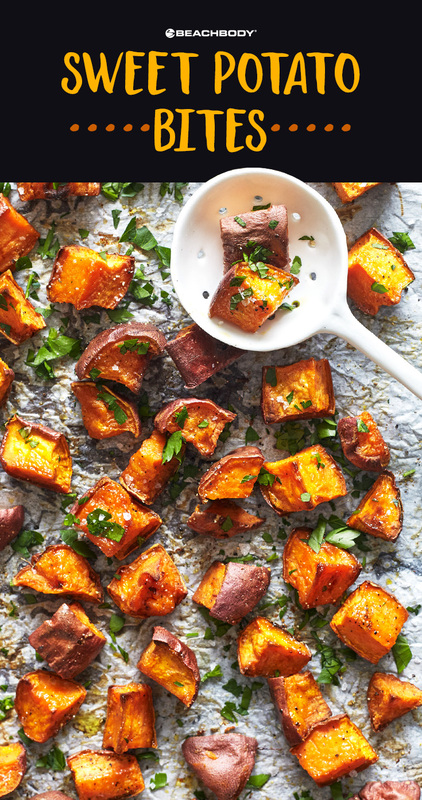 Cutting sweet potatoes into bite-sized pieces before baking helps speed up cooking time and keeps them from being mushy on the outside raw in the middle. Use this simply seasoned recipe as a springboard for other creations — you can change up the herbs and spices to complement a variety of main dishes. 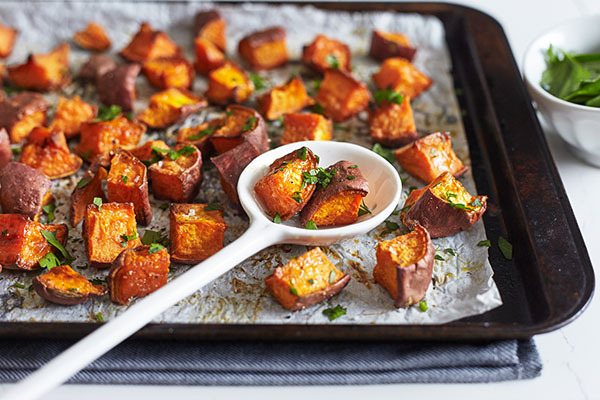 These super simple Sweet Potato Bites taste great with almost any meal made with a touch of olive oil, freshly ground black pepper, and a dash of sea salt. A great FFC option as part of breakfast or lunch.